We've purchased a large selection of these antique stone troughs over the years from farmers who have used them to feed and water animals. We love them all, but we can't honestly verify the exact age of the authentic limestone basins. Some may be 100 years old while others could be less than 10. 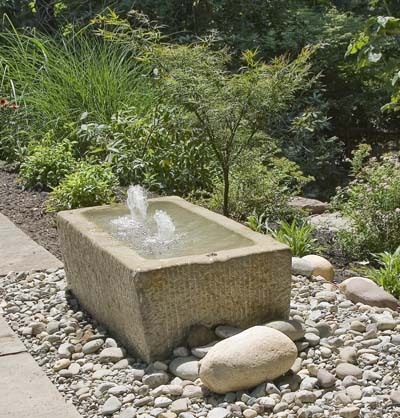 What we can tell you is that they will add a charming old-world feel to any landscape. Try them as planters or use them as garden accents or for water features. 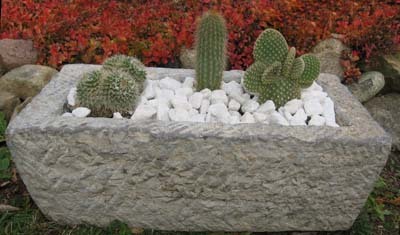 These hand-carved stone troughs will not disappoint. Since each piece is unique in size and weight, we price them by the cubic foot, measured by the outside dimension (length by the width by height). We have a large selection, so just give us a call if you have a specific size in mine. Troughs are priced per cubic foot.